CRESTVIEW HILLS, Ky. -- The daily schedule for Thomas More College’s upcoming five-day High School Summer STEM Institute is pretty typical of an outdoor summer camp: Each day starts at 8 a.m. with breakfast, and activities and meals follow. The experience itself is anything but typical, however. Just ask the dozens of high school students who participate in the unique program each July. The institute allows them to live and work at the college’s Biology Field Station, where ongoing research explores the Ohio River’s vast ecosystem. STEM is the acronym for science, technology, engineering and math. There’s a national push to draw more students to STEM-related fields. 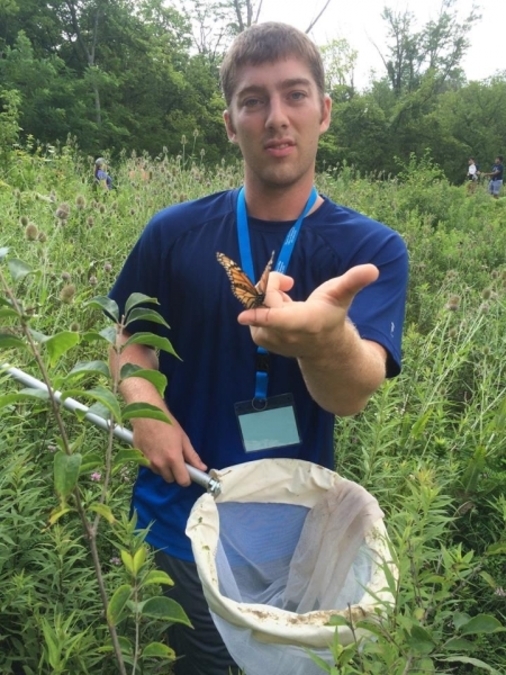 Thomas More's Biology Field Station, which is a 50-acre research and teaching facility in California, Kentucky, has a year-round initiative that aims to improve STEM education at the high school level. The summer institute is part of that effort. Lorentz, who is working with 10 partner high schools, provides professional development workshops for teachers in the STEM content areas and field trips for their classes. The high school summer institute is open first to their students, particularly those currently underrepresented in the STEM fields, he said. The spaces left over are filled with students who apply. Most are local, but it’s open to students across the nation. This year, high school students will come from as far as Chicago. The field trips and workshops offered throughout the year give students an up-close look at STEM in action, but the summer institute takes education in those fields to a whole-new level. That’s because students are immersed during the weeklong program, according to former campers Mitchell Kriege and Renee Kling. Each day of the camp, students are split into two groups. They take part in hands-on projects at the field station, out in the field and on the Ohio River. Lessons also take place in the classrooms and science labs at Thomas More, and at the college’s observatory. The camp’s reach goes even beyond the river, Kling said. Students explore a wide range of disciplines under the STEM umbrella, including biology and chemistry, as well as engineering, robotics and computer science. Twenty college professors are involved in the program, and more than a dozen Thomas More students serve as mentors. Collectively, they help provide a once-in-a-lifetime experience for teens interested in STEM fields, Lorentz said. “How many high school students get that opportunity?” he said. By the end of the week, students leave with a better grasp of what STEM is all about, Lorentz said. Most have also acquired a passion for the Ohio River and its surrounding watershed. They give a culminating research presentation on their favorite topic.